For the first time in his six years as president, Barack Obama met behind closed doors with an exclusively domestic group of Muslims for about an hour on Feb. 4. They covered the boringly predictable topics, judging by the official readout, accounts by participants, and news reports. It hardly needs to be said, but I'll say it anyway: Almost all the guests are Islamists while not a single anti-Islamist made the cut. 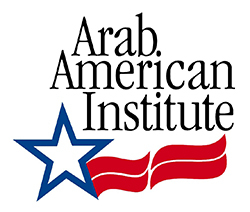 One of the organizations represented, the Arab-American Institute, isn't even Muslim. Eight participants are affiliated with organizations, though one of them, the Arab-American Institute, is ethnic, not Islamic. Has the White House staff not yet learned that not all Arabs are Muslims, and especially not all Arab-Americans? Six participants do other things: a basketball coach (Abdul-Qaadir), a professor (Jackson), an imam (Magid), a businessman (Mokhtarzada), a "comedian" (Obeidallah), and a university chaplain (Rashad). Hard to see how these folks are "leaders." A White House decision to tone down what is by nature a controversial meeting probably explains the absence of notable religious figures such as Zaid Shakir, Siraj Wahaj, or Hamza Yusuf. This would also explain the absence of big names from Muslim-American institutional life such as Nihad Awad or Louis Farrakhan. The list contains several surprises: Two lowly staffers represented MPAC and Ta'leef. 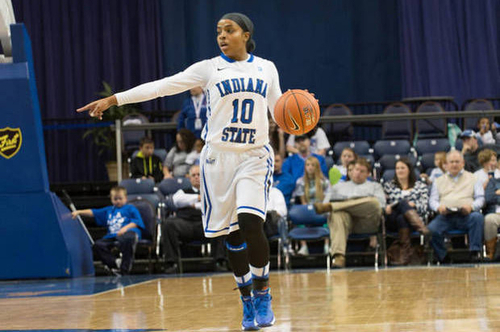 The obscure Bilqis Abdul-Qaadir represented basketball, rather than the famed Kareem Abdul-Jabbar or Hakeem Olajuwon. And where are such Muslim-American stars such as Muhammad Ali, Farouk El-Baz, Omar Sharif, McCoy Tyner, and Ahmed H. Zewail? MPAC made the cut but not the Council on American-Islamic Relations (CAIR); the latter must be seething, especially as it is hoping for U.S. government assistance to get off the UAE's terrorism list. This fits a long-term pattern of preferring tamer Islamists over more aggressive ones. Same story with ISNA and Islamic Circle of North America. In conclusion, this meeting appears to have been pro-forma, part of the political preparation for the "Summit on Countering Violent Extremism" to be held at the White House on Feb. 18. The president invested an hour to protect his standing among his Islamist constituency. Feb. 13, 2015 update: Invitations to Islamist rather than anti-Islamist Muslims by the U.S. government just continue: Naser Khader, the Danish political leader now at the Hudson Institute in Washington, offers the example of an iftar hosted by James Cain, U.S. ambassador to Denmark, in 2006. I documented this concerning a White House iftar in 2011. And don't forget the Islamists who boycott iftars they were not invited to attend.